A favorite beer? No. A favorite style of beer? Maybe. A favorite brewery? Not one, but there are a few that hold a special place in our hearts. A favorite beer festival? 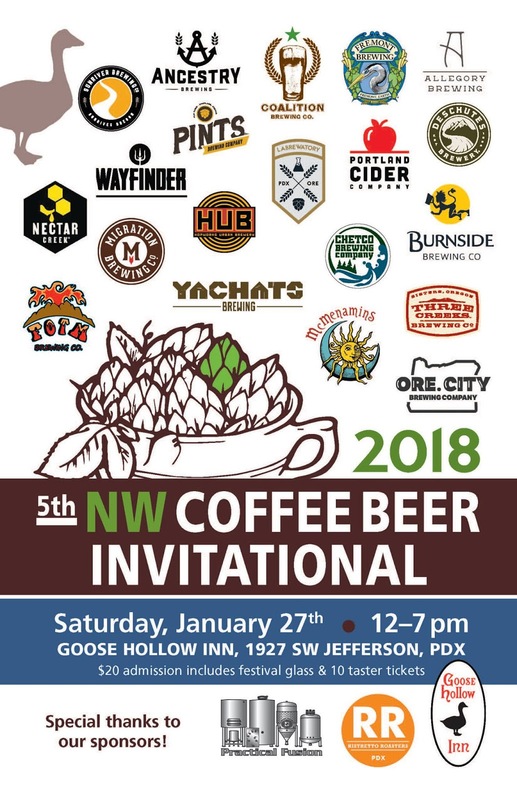 Possibly and it would be this one, the NW Coffee Beer Invitational. #1 Dave Fleming is a great guy and without fanfare, has carved out a day in the depths of winter to hold this festival. He also seems to employ some wizardry to allow the day, which for more years than not, has been blessed by the winter sun. #2 Coffee and beer are our two favorite beverages. We get giddy when they come together and love to see the creativity expressed by the brewers at this festival. 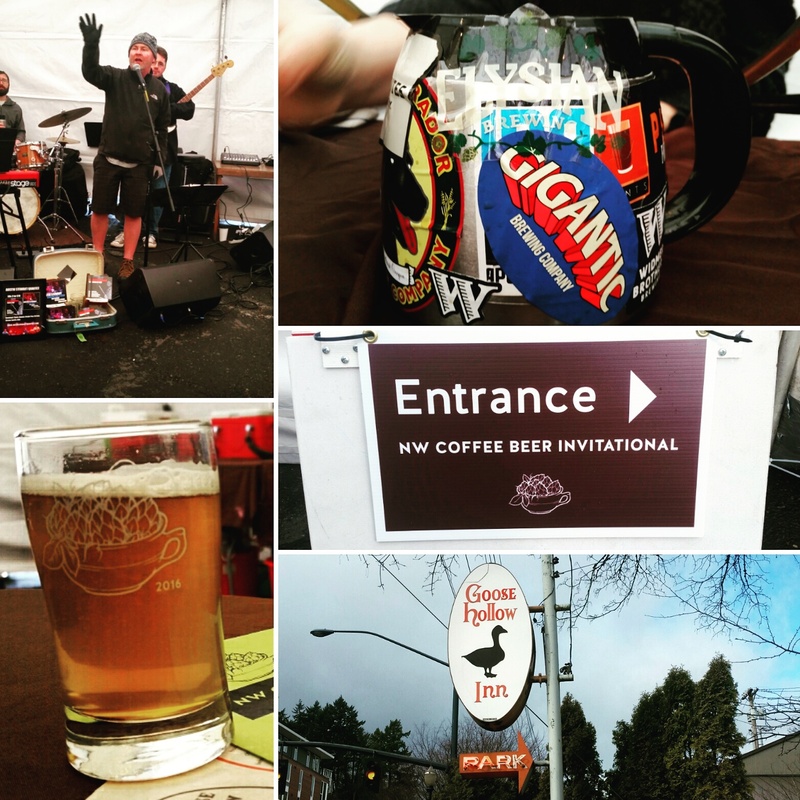 #3 The festival tends to contain breweries that are often not present at other festivals. 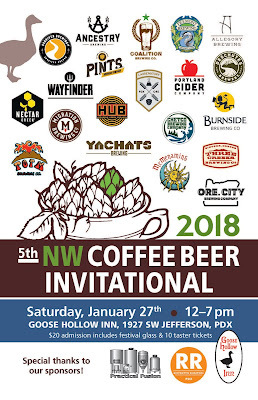 In that group is Chetco, which this year is joined by "new kid" Allegory, the Labrewatory, Yachats and more. #4 Last but not least, this festival is often the first one of the new year that we attend. There's just something about putting the crush of the holidays behind and resetting for another year of festival fun. 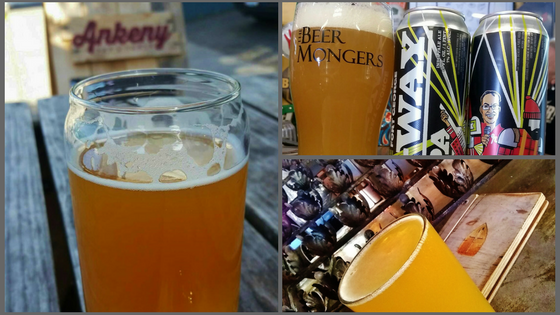 In this fifth year of the festival, organizers Dave and Jean Fleming wanted to do something special so they invited festival-favorite breweries from the past four years to collaborate on a beer. Brewed at Buoy with Ristretto Roasters coffee, the raspberry mocha brown beer will be available only at the festival and at the participating breweries' locations. The festival remains at its original location, the parking lot of the Goose Hollow Inn. The support of and partnership with the restaurant "has been key" to the festival according to Dave. For attendees, holding the festival in the same location year after year means they know what to expect, including what works best for them to get there (and back home safely). The inner SW location is in close proximity to downtown and has a Max Station that is basically at their doorstep, serviced by the blue and red lines. It also serves a full menu on festival day, including "The Best Reuben on the Planet." Additional tasting tickets will be available for $1. Dave let on that there will be a few barrel-aged beers this year that will cost two tickets so you may need a few depending on your approach to the festival. We'll be pairing up, sharing the samples, and depending on what really tickles our fancy, may need to get some tickets to go back for seconds. Starting today the festival will be posting the name and description of a few of the beers coming to the festival each day on their Facebook event. 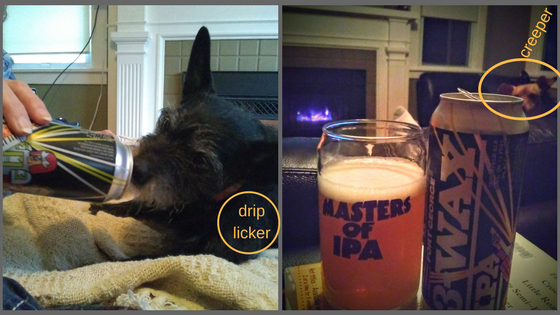 Check out today's post for details on the three below that have beer names attached. To make sure you get the latest, indicate that you're "interested" or "going" to the festival receive update notifications. We were recently contacted by the marketing team for a new apple variety called Pazazz, the "wow right now" apple. Not being ones to say no to samples, especially for such a versatile fruit, we took them up on their offer and a box soon arrived with six apples. Similar to Honeycrisp apples in texture although less sweet, they have been created to offer "just-picked freshness heading into the winter months." Our first use of the apples was the most simple - as part of a cheese plate put out at our New Year's Eve gathering. 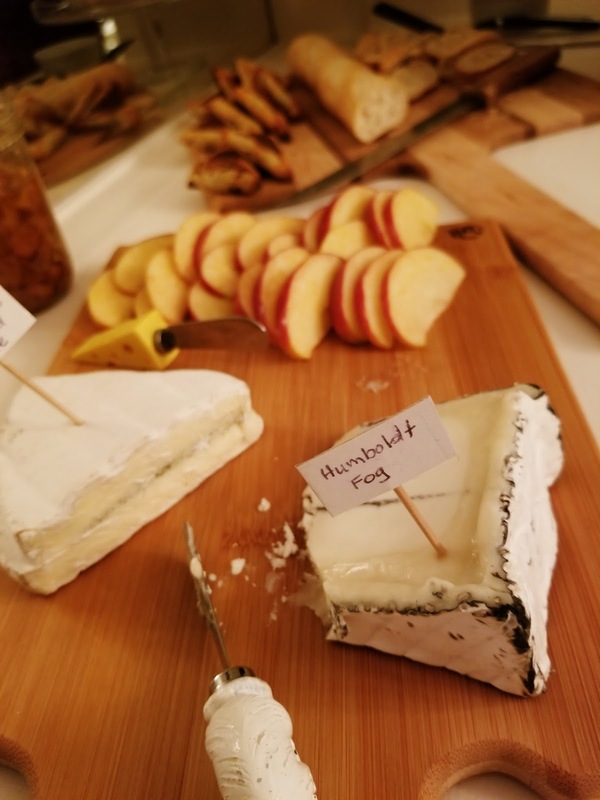 Their crispness complimented the creamy cheeses and sweet-but-not-too-sweet flavor found a partner with multiple beers enjoyed that night, especially Ohio's Lager Heads Brewing Co. oak aged Flanders Red. With more apples to use, along with some avocados, we searched the interwebs for something to take to a New Year's Day gathering. 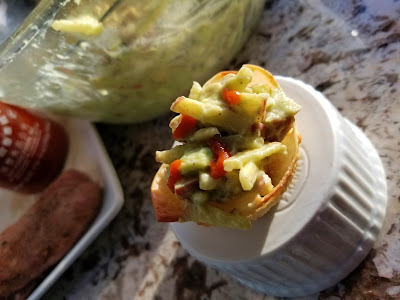 The "winning" recipe was a modified version of Chef Julie Yoon's Apple and Avocado Chicken Salad that we put into won ton cups for an easy finger food appetizer. As the recipe had told us to expect, we had more of the dressing than was needed for the salad. A tasty dressing but due to avocados being a primary component we knew it would have a short shelf life before the beautiful green color turned ugly, worse than Cinderella's coach turning into a pumpkin after midnight. Taking a leftover baguette, we sliced it, slathered on the dressing, added a slice of apple and topped it with double cream Gouda. Into the oven to melt the cheese and what came out was a delicious combination of sweet, salty, creamy and crunchy. 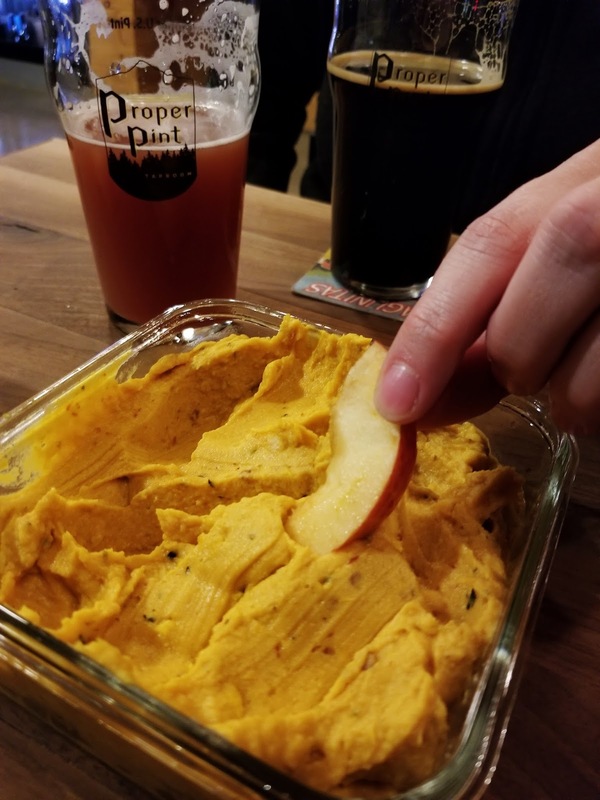 The apples held up admirably to the cooking and the snack got two thumbs up from our friends at our favorite watering hole. Building on what we'd learned so far, we included apple slices along with carrot and celery as dippers for a delicata squash dip based on this hard squash hummus recipe. Reminiscent of hummus, although sweeter from the roasted squash, the apples were a nice alternative to the veggies. Chalk up another win! As we reached the end of our apple box we went back to the delicata squash well, spreading it on the remaining lefse (a gift from our Midwest family) and topping it with minced apples and crumbled Cotija cheese. Rolled up just as one would with a tortilla spread with cream cheese, the simple appetizer went along to a pot luck and was gobbled up. Big thanks to the apple folks for getting in touch with us and giving us a jumping off point to try out some new recipes. We'll definitely keep our eyes out for Pazazz the next time we need apples. 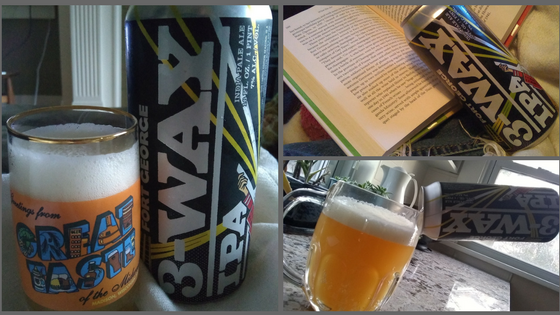 According to our memory (aided by Untappd) the beer we drank the most often in 2017 was Fort George 3-Way IPA. Not only did we drink it often, it was one of the best beers to fill our glass and possibly the most delicious iteration of this collaboration series yet. 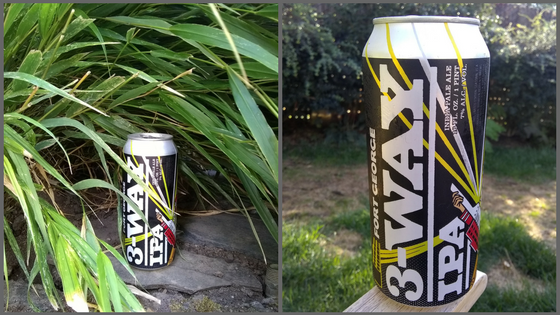 Using the always tasty Mosaic and Citra hops, along with Azacca and X331, the talented triumvirate of Fort George, Great Notion and Reuben's hit the mark with this 7% hazy IPA. We enjoyed it out and about. We enjoyed it on our patio when the weather was still patio-appropriate. We enjoyed it inside with our furry family. And sometimes all by our lonesome.